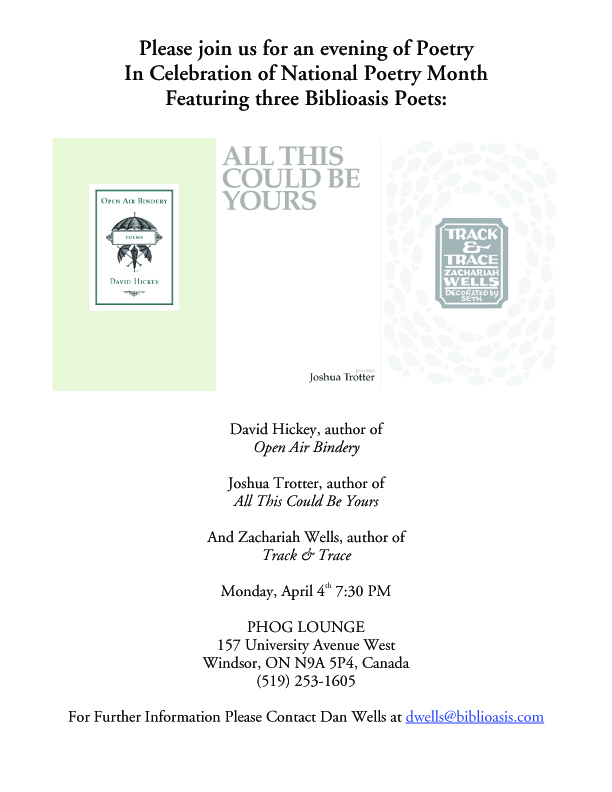 An evening of poetry at the Phog Lounge on Monday, April 4th at 7:30 PM. Please don’t hesitate to email me or call Dan Wells of Biblioasis at 519-968-2206 for more information. This entry was posted in Uncategorized and tagged Biblioasis, Dan Wells, David Hickey, Joshua Trotter, poetry, Zachariah Wells. Bookmark the permalink.